On December 6th, 2018, the ASCE OC EWRI Committee welcomed Kevin Onuma, Deputy Director of the Operations and Maintenance Service Area for Orange County Public Works for an educational and timely discussion on OC Public Works 2018/2019 Storm Season Preparations. Mr. Onuma set the stage by reviewing a history of significant recorded storm events in Orange County, starting back in December 1861 and ending with more recently recorded events during 2010 and 2018. OC Public Works has a system in place for both pre-storm season education and preparation as well as clean-up after the storms hit. Pre-storm season efforts include channel cleaning, ocean outlets sand and debris removal, and pump station and dam inspections. Due to the recent wildfires that have plagued the County, Mr. Onuma also focused on more recent pre-storm season preparations specific to the burn areas in Silverado Canyon and the areas impacted by the Holy Fire. 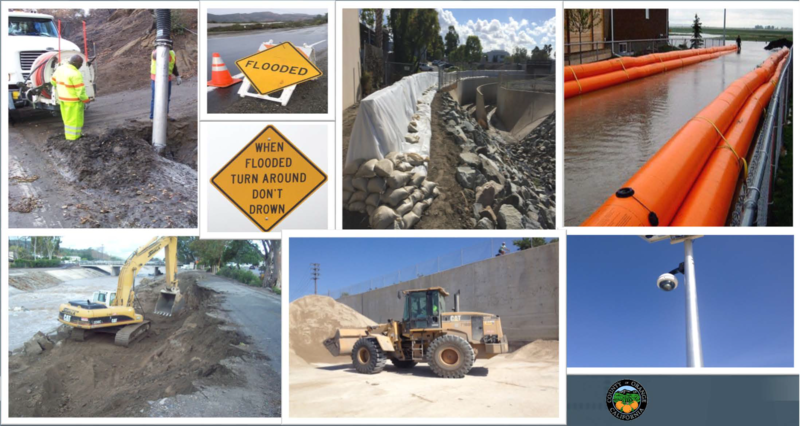 Traditional measures are used, including protection barriers and sandbags, as well as some emerging technologies and systems including boxwall flood barriers, inflatable barriers, and other flood and containment solutions. These efforts and staging of equipment are focused on identified “hot spots” that are cleared before the storm and monitored both during and after. Emergency response efforts during storm events involve a unified effort between OC Public Works, OC Sheriff’s Department, and the OC Fire Authority. Mr. Onuma also addressed flood channel clean-up issues that were addressed earlier in 2018. These clean-up efforts have been part of a coordinated effort with the OC Sheriff Homeless Outreach Team as well as the Orange County Sanitation District. The ASCE OC EWRI Committee would like to thank Kevin Onuma for an impactful presentation that was well received by 65 attendees.